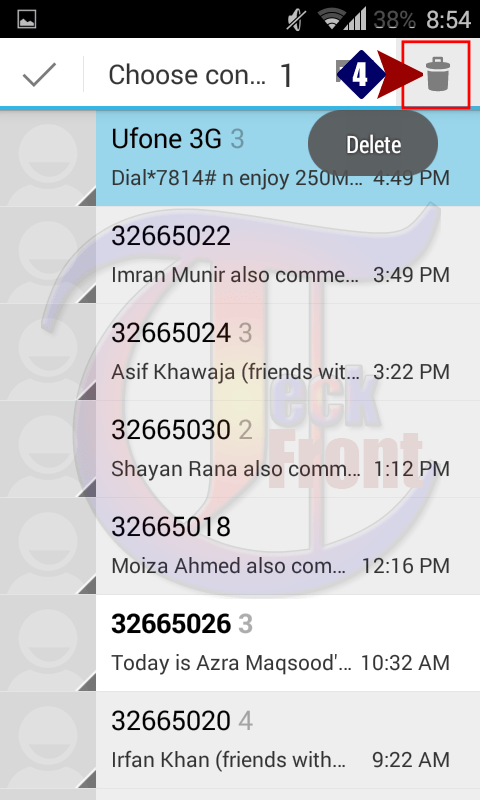 Android 4.4.4 KitKat: How to Delete Messages, Individually? In Android 4.4.4 KitKat, the procedure to delete the messages has been changed a little. Now, you may change the messages, individually yet conveniently. Command Line: Messaging app > Messages > Delete. 1: Tap the ‘Messaging’ app icon, available at the Home screen of your Android 4.4.4 KitKat phone. 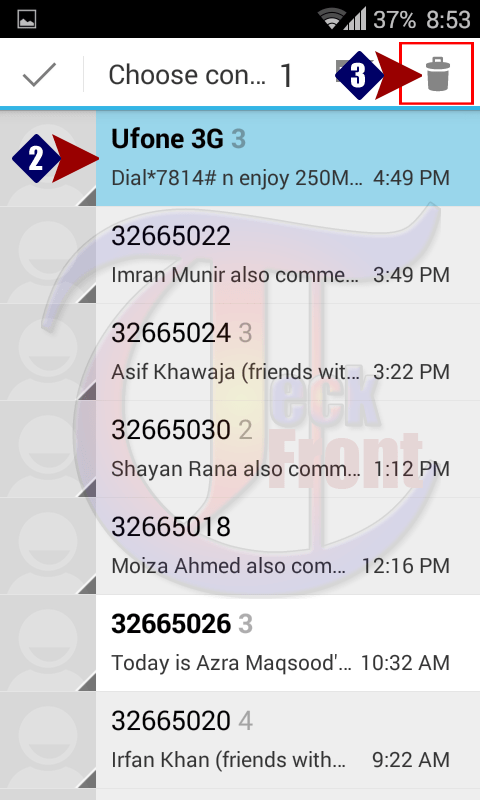 2: At the messaging screen, select the message, you want to delete. Tap it and hold for a while and its color will be changed to sky blue. In addition to the change of color, the icons in the status bar will be changed and a new icon of delete will appear in the top right corner of the status bar. Here, you may select more than one messages, as well, for the deletion purpose. 3: Now, tap and hold the newly appearing ‘Delete’ icon, available in the top right corner of the screen and see the screen tip ‘Delete’ which will appear immediately below the delete icon. 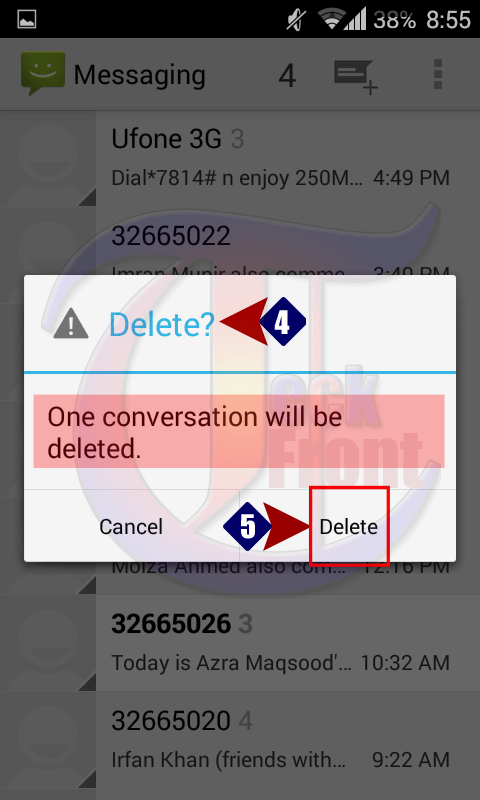 4: Tap the ‘Delete’ icon and a prompt will appear, informing you that ‘One conversation will be deleted’. If you want to delete the message, press ‘Delete’ button, available at the bottom right corner of the prompt and the message will be deleted. That’s all. 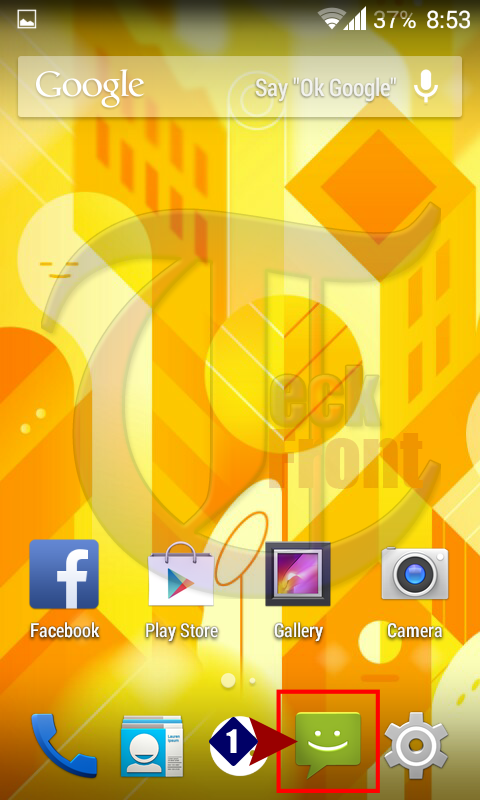 Newer Android 4.4.4 KitKat: How to Switch ON / OFF Day Dream (Screen Saver)? Older Android 4.4.4 KitKat: How to Set Wake and Unlock When Message is Received?